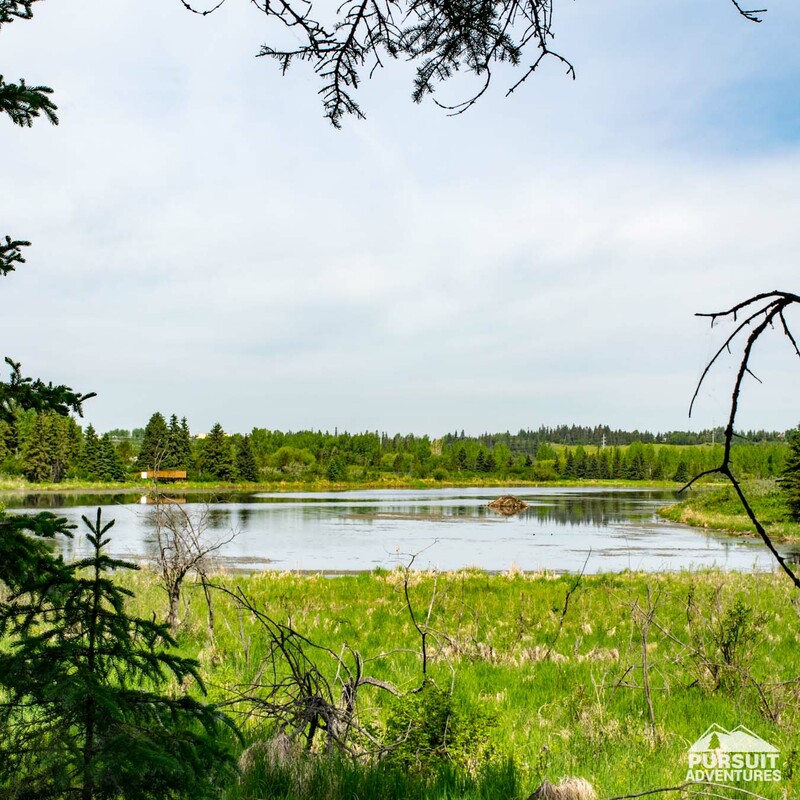 Explore Alberta’s oldest federal migratory bird sanctuary on the 4 km Wishart Trail loop, right in the heart of Red Deer’s Waskasoo Park. 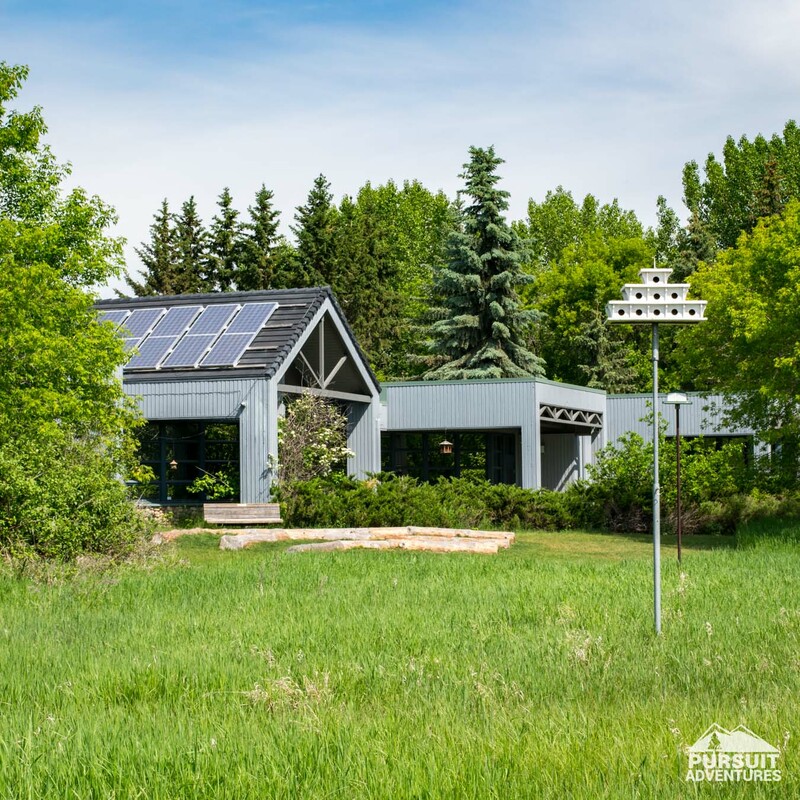 Start your adventure at the Kerry Wood Nature Centre and head around the Gaetz Lakes with stops at bird blinds and viewpoints along the way. 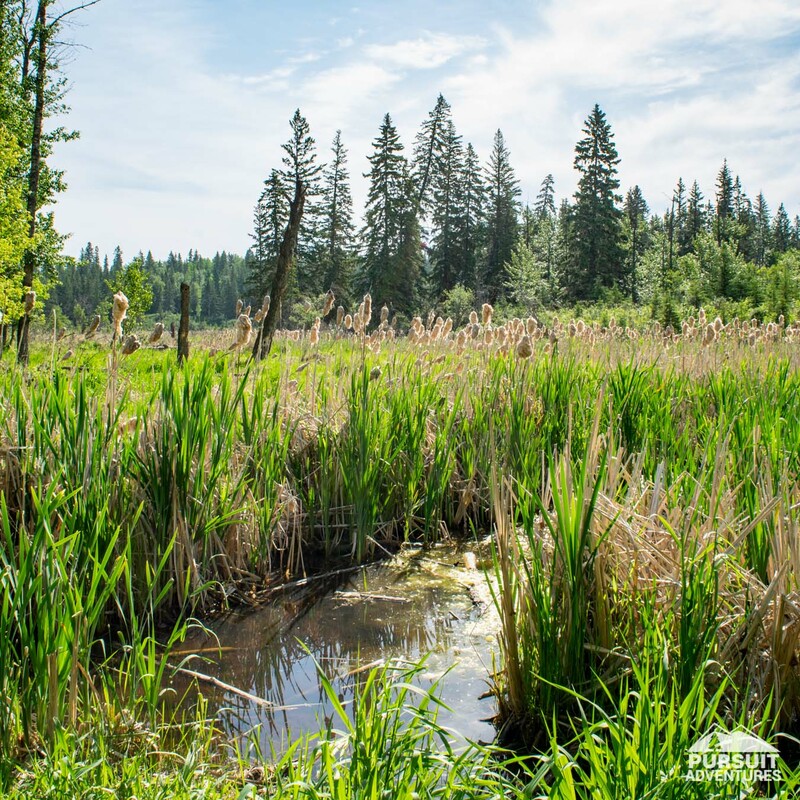 Take your time on this hike to stop and look at the flowers, birds and wildlife that make their home in this wild refuge in the middle of the city. 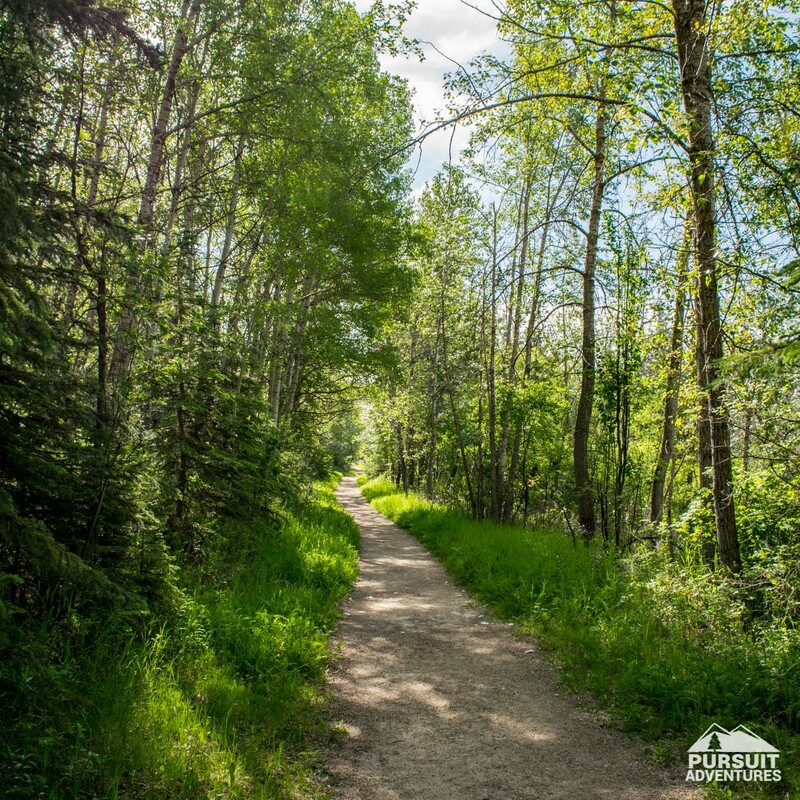 The Wishart Trail, named after an early resident of the Sanctuary, follows the Dr. George Trail in section before heading into the forest and around the sanctuary. 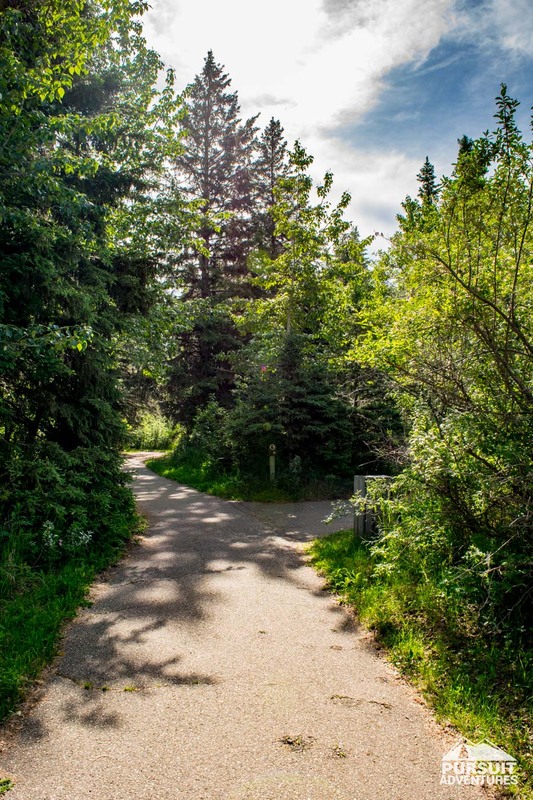 While the Dr. George Trail is suitable for strollers, the stairs on the Wishart Trail make it a better option for older kids or carrier backpacks. Sometimes you just want to head out on your own to explore the area. We get it. 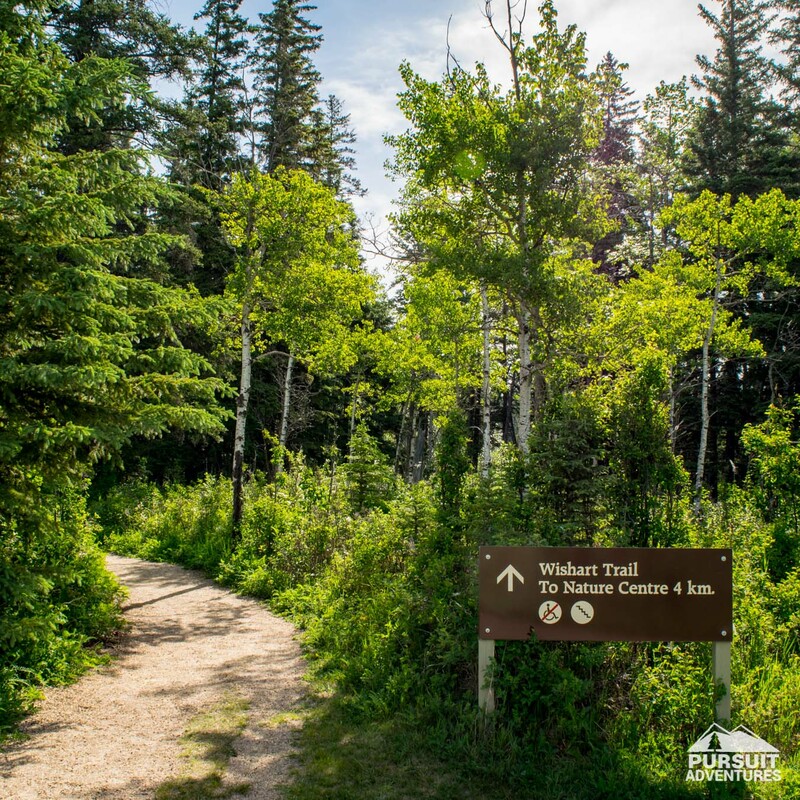 Here’s the guide for the Wishart Trail.  The trail starts with a junction. Follow the sign for the bird blind, heading toward the poplar forest. 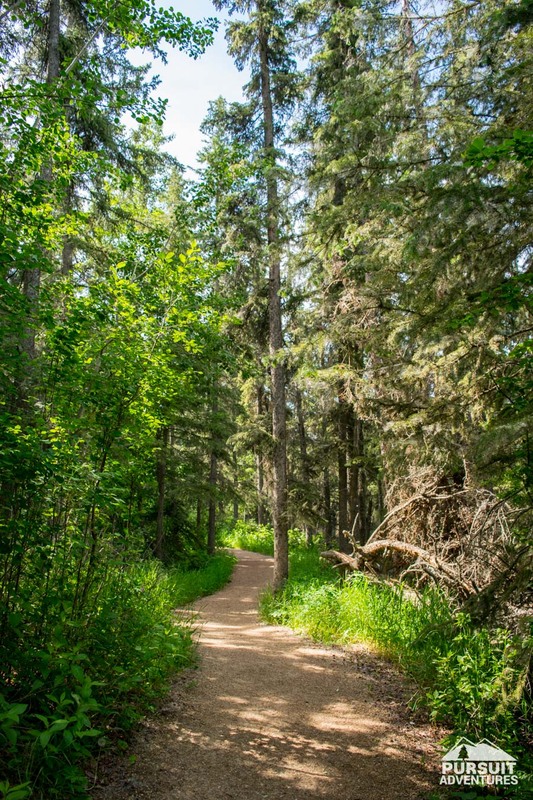 The trail to your right is the return path and the one to your left is the Dr. George Trail. 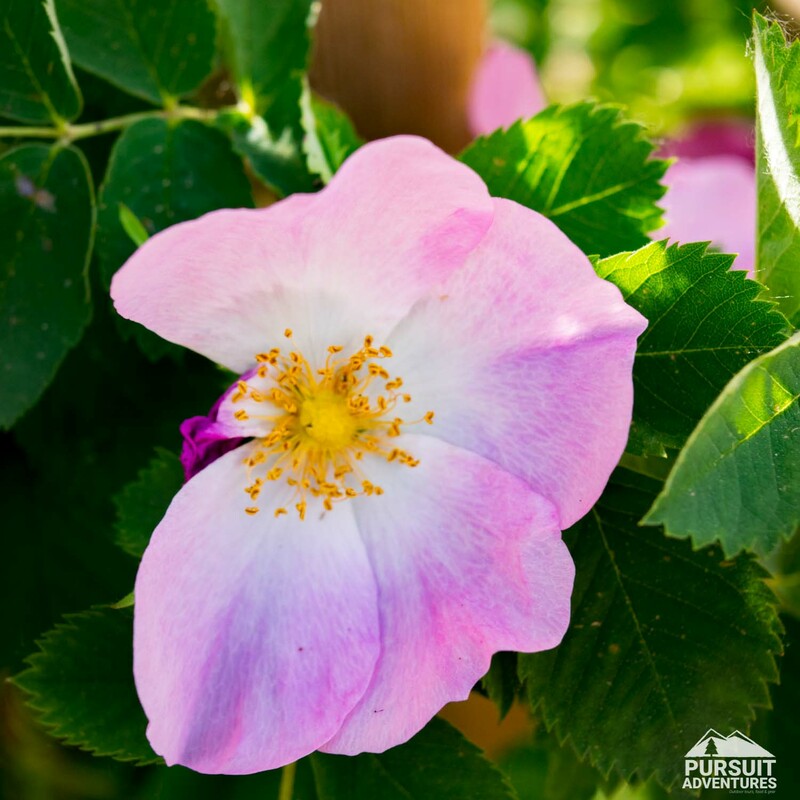 As you head out into the forest keep an eye for animal trails through the thick bushes. Snowshoe hares and deer are common and you’ll often them see them feeding in the area in this area. Tips of branches that have been nibbled on at knee height are signs of snowshoe hares while marks at shoulder height are from deer. 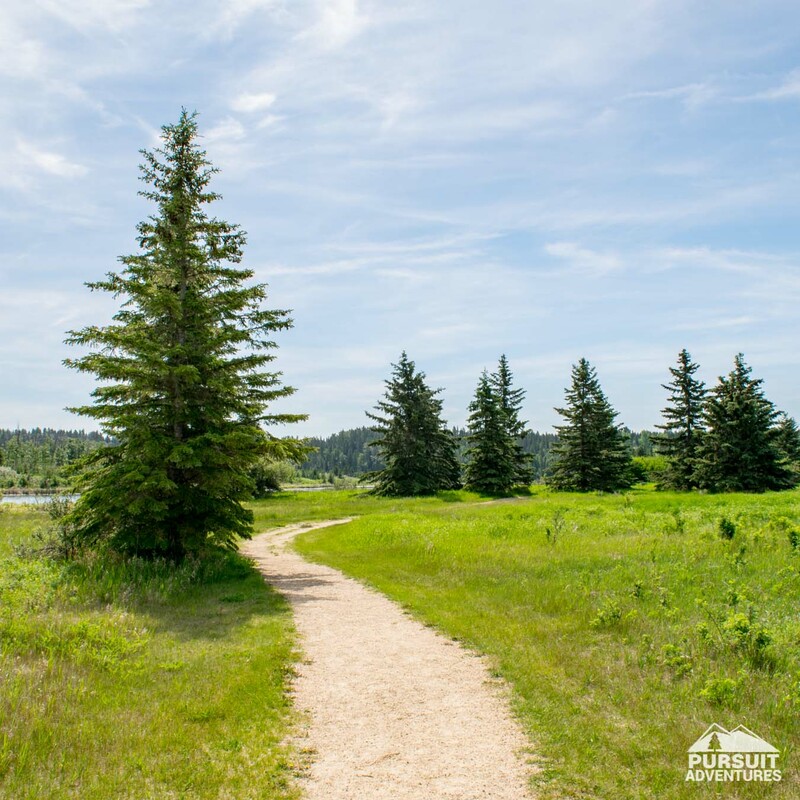 Where the Dr. George trail turns to make its way back to the nature centre, follow the well marked gravel trail back into the forest. 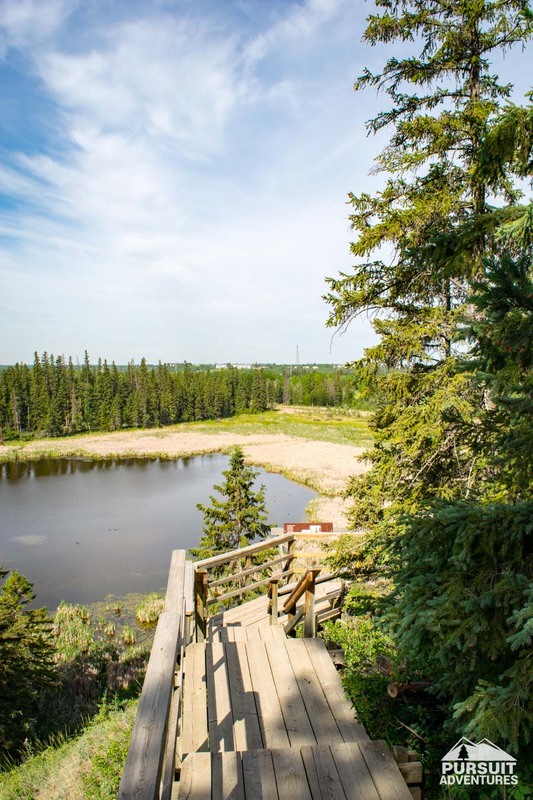 The trail soon starts to gain elevation as you approach the hogsback viewpoint. 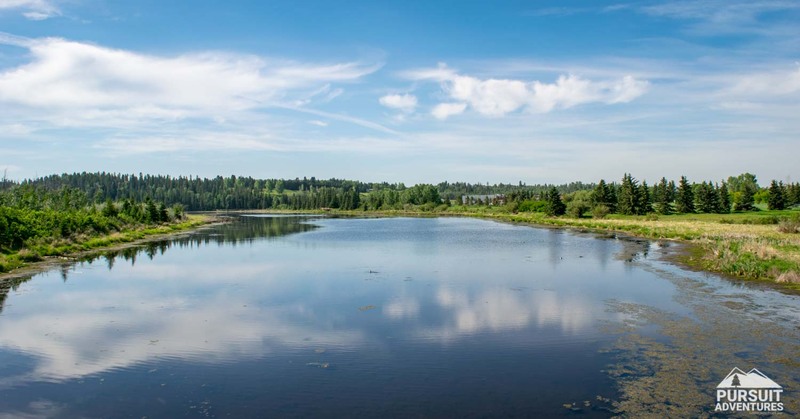 Below you is the east lake, downtown is visible in the distance yet you find yourself surrounded by the forest. 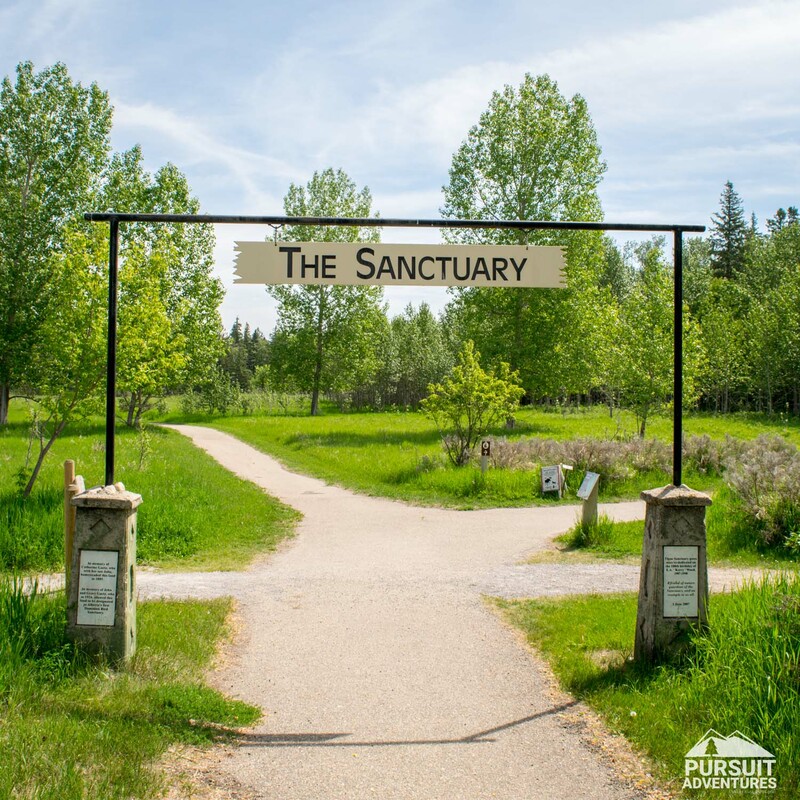 Across from the lake you’ll notice a section of forest at the heart of the sanctuary where there are no trails or human access. 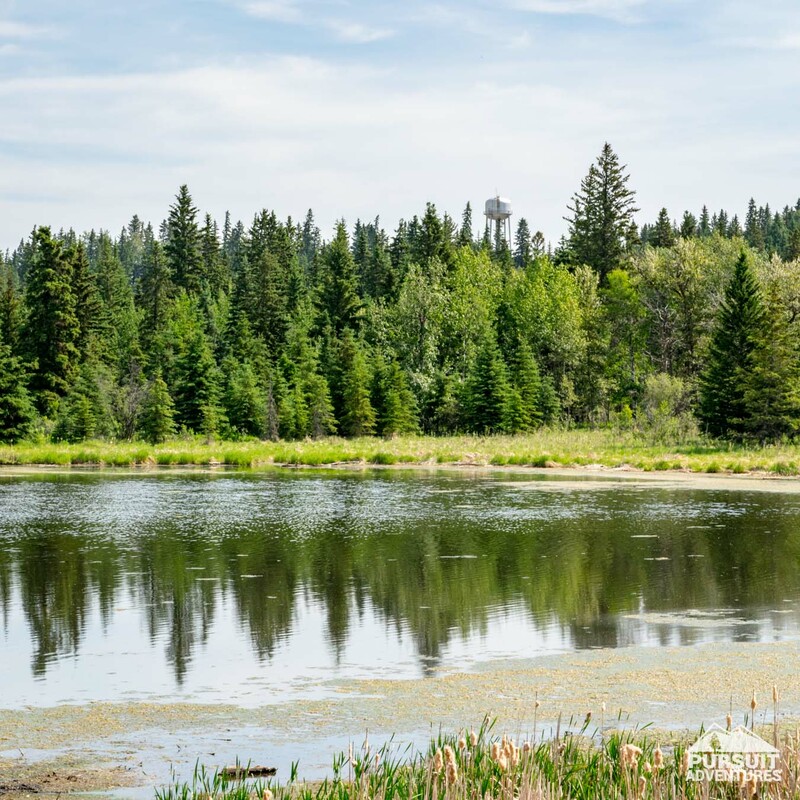 Bring your binoculars along or borrow a pair from the nature centre before you head out to make the most of this stop on the trail. Continue along the trail and before long you’ll come across a slump providing another great viewpoint. Landslides are common in areas like this but this ones has a human cause: a faulty storm sewer from the Michener Centre. From here the trail continues its ascent toward the top of the sanctuary, near the Michener Centre grounds and a quick rest before heading down the stairs toward the West Gaetz Lake. Along the way take a look at the channel that was left behind, the former course of the river when it did a loop at the base of the escarpment. 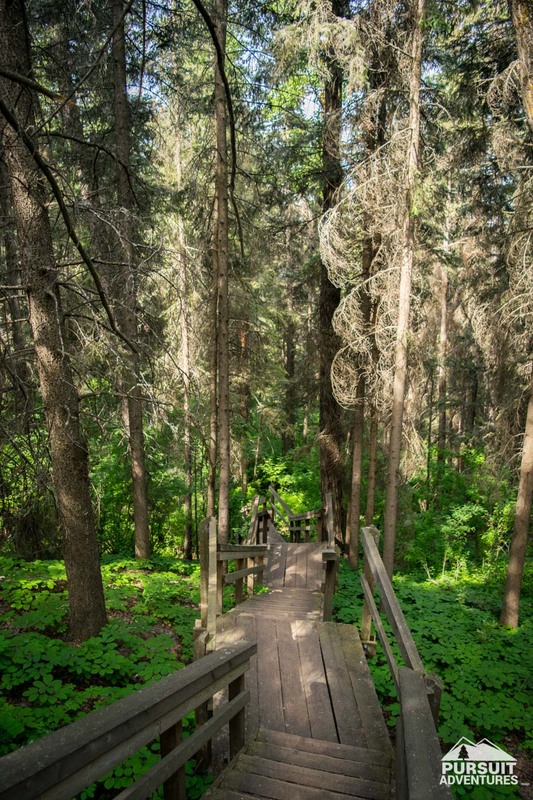 As soon as you begin to descent the stairs you’ll notice the change in the forest. 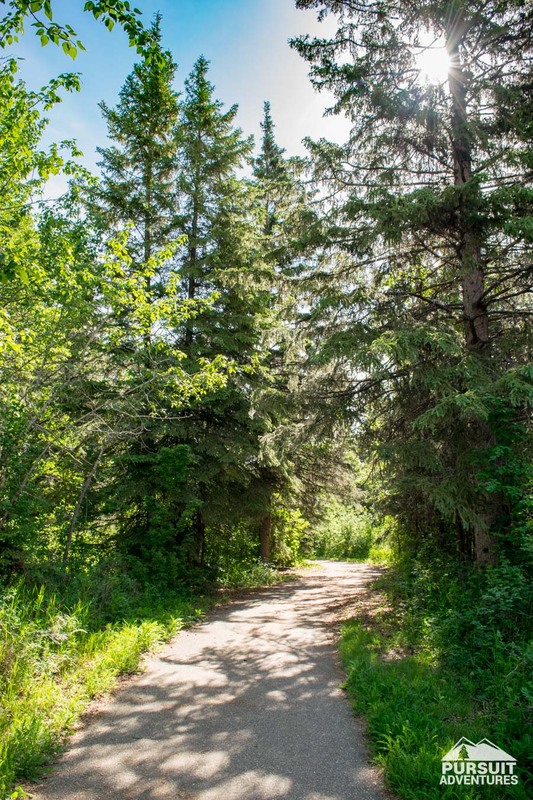 You’re now entering a spruce forest along the escarpment where the air becomes moist, cooler and quieter. 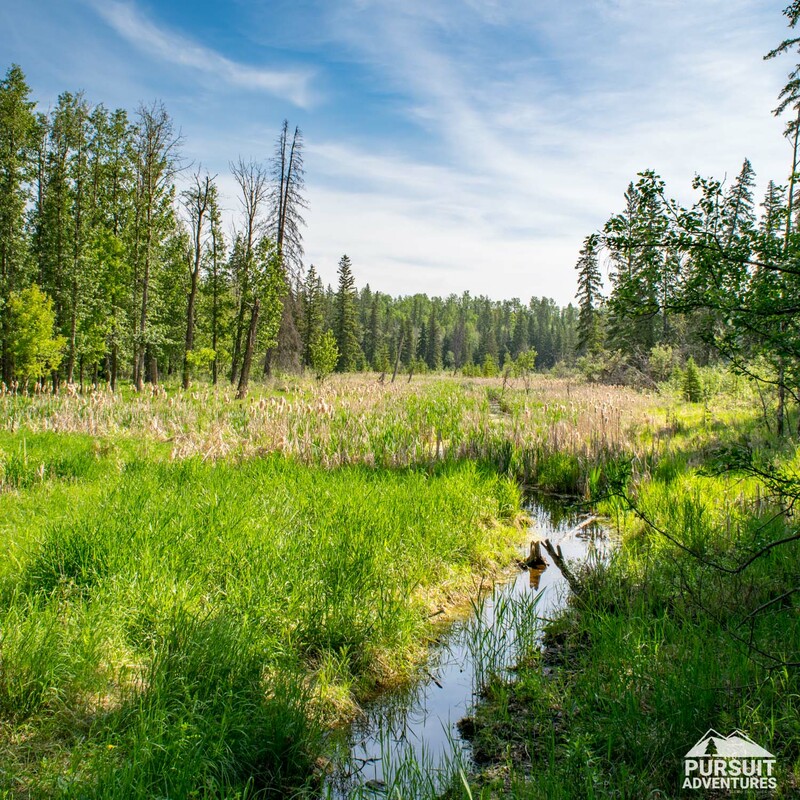 This area provides great travel option for wildlife, but little food. One resident you’ll likely encounter is the red squirrel. Keep an eye out for the large middens, where the squirrel has made a nest and stored food, throughout the area. 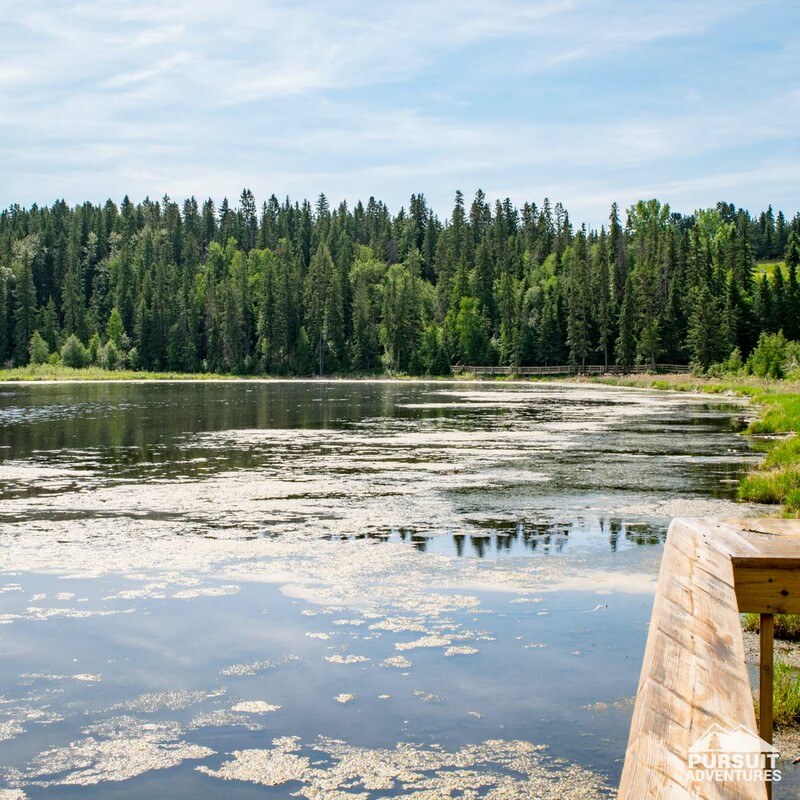 The Gaetz Lakes were split in two by a landslide a long time ago. The area of the slump is still visible and left behind a wet area where you’ll find many rare and fragile plants. 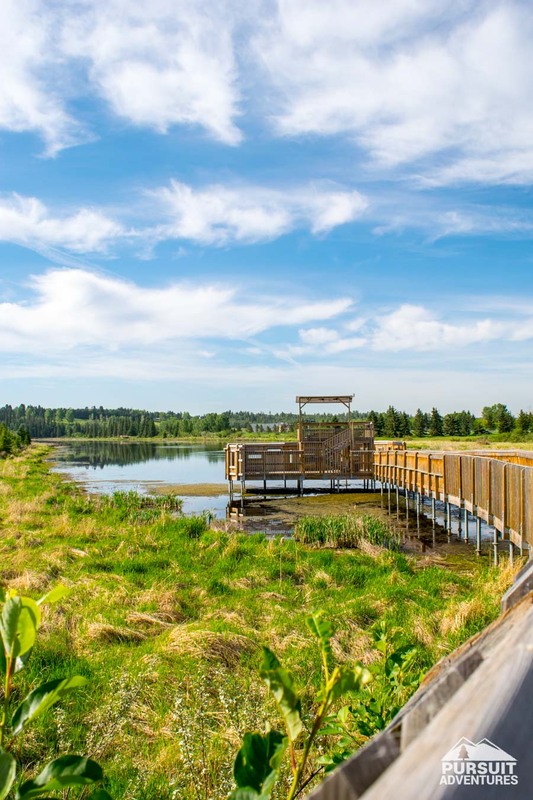 The boardwalk and bridge at the south end of the West Lake are great spots to watch beaver, muskrats and frogs. 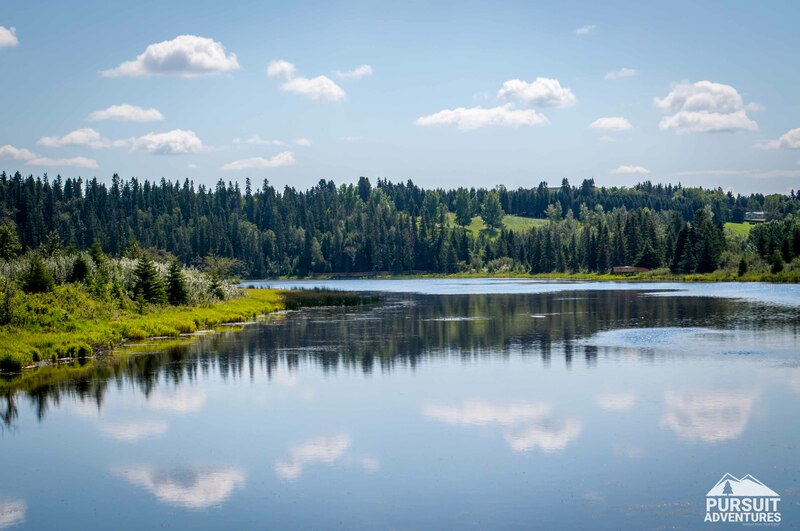 The lakes rely in large part on rainfall and snow melt to maintain their levels. As such, in dry years you’ll notice more marshland along the edge of the lake where in wet years the lake may overflow in the nearby meadows. 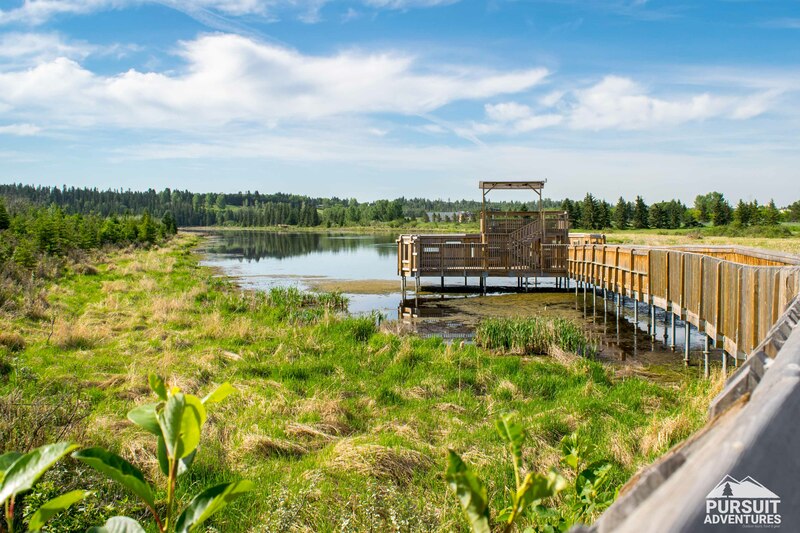 The area from the bridge back to the Kerry Wood Nature Centre is outside of the federal migratory bird sanctuary but was added to the park by The City of Red Deer to act as a buffer. 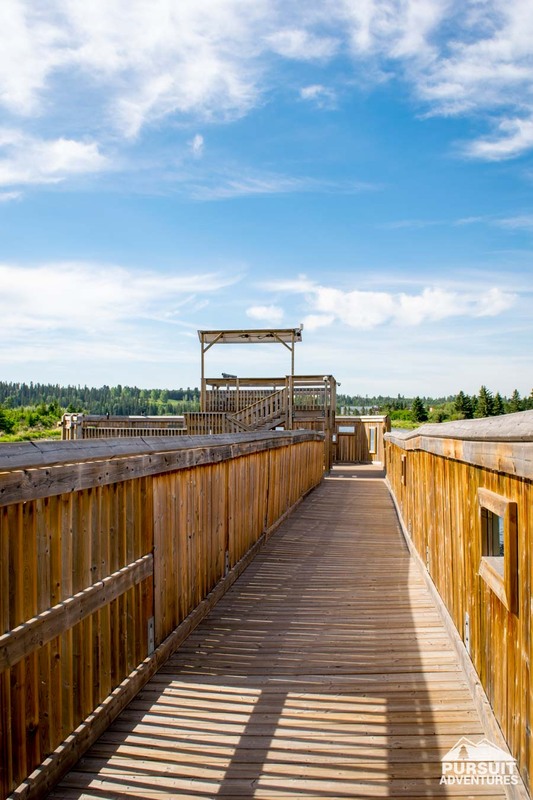 This area has been reclaimed and the first section between the bridge and the south viewing deck was once a garbage dump and during the war served as a training ground for the army. Along the way to the nature centre you can still see many signs that the area was once the Glenmere Farm, from the grassland were cattle once grazed to the rows of trees that were common on homesteads.